Accurately measuring load weight is imperative for mining trucks that carry massive loads, and base these loads on their revenue. In short order, a dependable scales system specifically for mining trucks is key. The advent of on-board scale technology has revolutionized the way in which truck scale systems are designed. Since its introduction in 2005, on-board truck scales has advanced the engineering weighing system for various types of load bearing vehicles. Unlike the in-ground scales that require trucks to drive over them to check the weight, on-board scales have no such requirements. As items are loaded in the truck, the scale gives reading instantaneously. This is just one of the major reasons for which on-board scales have become so popular. Companies like Walz Onboard (the on-board truck scale branch of Walz Scale) has been progressing the technology behind these advanced scale systems. Learn more below about how these scales have revolutionized the market and design of mining truck scales. Although the components that come with such scales are of different types, the functionality of a scale is either of the two types: Load cell and Air suspension. It means that an on-board scale uses one of these methods to calculate weight correctly. Load cell method is more “contemporary” compared to air suspension. Basically it is a transducer which means it converts a force, like pressure, to electrical signal and thus measures the carrying weight of the vehicle. On the other hand an air suspension based scale uses a flexible bellows to measure the weight. This bellows are pumped by an electric compressor or air pump. It is difficult to pinpoint the components that are used in modern on-board scales. However they usually have the three items that need to be installed in the system: Air Suspension Sensor, Mechanical Sensor and Indicator. The sensors are placed on the axle groups and their number depends on them as well. These sensors measure temperature, pressure, axle deflection as well as per axle weights. Modern sensors can give reading that is accurate within .3% - 1% of gross vehicle weight or GVW. The indicator or reader can be fixed on the vehicle or kept as handheld. Wireless handhelds provide extra convenience in situations when the loading, checking and driving is done by a single person. Although it differs based on brands, they usually range between 300 and 500 ft.
1. Load cell: As mentioned earlier, load cells are kind of transducer that converts pressure into electric output. These can be either strain gauge or mechanical. Trucks or cargo that have spring suspension usually use this kind of scale. 2. Air suspension PSI reader: This type of scale is not usually used in vehicles that require precise measurements, like trucks that are used in mining operations, because they do not provide very accurate measurements. They are better used in semi-trailers. 3. Air suspension load indicators: These scales show “on the ground” weight in kilograms or pounds. These are analogue and non-electric gauges. They can also calibrate according to frequency. 4. 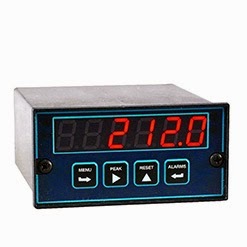 Electronic scales: These scales come with PSI sensors and measure the changes (temperature along with pressure) in a truck’s air suspension. The data acquired is then sent to the receiver which then converts it to understandable approximations. These are the most frequently used on-board scales. In addition to common mining trucks, alternative weighing systems also include on-board rail scales that offer in-motion weighing capabilities while a train car is moving. Besides the technical facts, a professional in the trucking or mining industry should know the conveniences that an on-board scale provides compared to traditional truck scales. 1. The possibility of over-loading can be almost entirely eliminated. 2. Drastically reduces maintaining cost related to over-loading vehicle. 3. Time efficient since the driver does not need to measure the weight every time the amount of load is changed because the indicator updates information immediately as pressure changes. 4. By reducing the repetitive motions for measuring weights multiple time on a truck scale (railroad scale), the vehicle’s fuel efficiency can be increased. 5. Potential accidents can be avoided that can happen due to over-loading. 6. The overall lifespan of the vehicle can be increased with the successful implementation of the overall advantages. Other than these, on-board mining truck scales also help in avoiding legal complexities, increasing operating efficiency, and increasing return on investments and profit. Logically it is the better option compared to traditional truck scales. 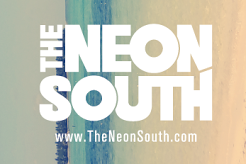 The Neon South has become an extremely popular (and righteous) online brand over the years, mostly due to its approach in carving a niche in custom printed neon tank tops and other stylish apparel. The Neon South’s tank tops are geared to particular audiences, especially that of today's younger, more creative generations. What makes the online company successful centers on it's finely-tuned market - The Neon South is devoted to providing customizable tank tops and apparel, especially neon tank tops. Customers can design and customize their finished product, and The Neon South will print the concept on a wide range of outfit options, including t-shirts, neon tank tops, sunglasses, hats, and more. The Neon South company has become so popular because they focus on creating items that express individuality rather than making regular products. The company’s audience of potential clients is formed especially from groups that need to create customizable and unique outfits and tank tops that are not available in any store. 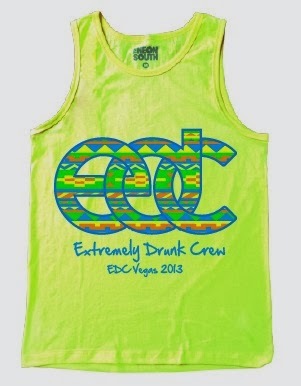 The company stands out by using neon colors on their custom printed tank tops and clothing items. These colors can create bright, unique and exciting accents. This meets the need of today’s youth to emphasis the individuality and originality. Many spring break groups or college groups like sororities and fraternities, sororities have already benefited from Neon South’s products. These youth groups are particularly interested in experiences at Greek member events, or Spring Break events, where their members wear custom neon tank tops that cater to these special events. 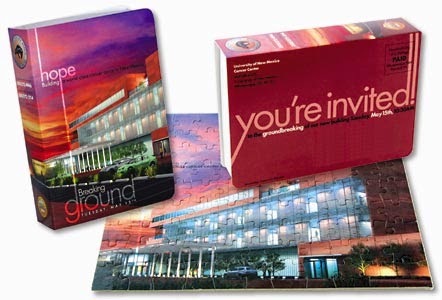 Visitors who want to implement their own custom design can use the Design Studio on the website. The Neon South’s website provides an integrated Design Studio where users can select from a variety of design styles and logos to serve as the foundation of their finished product. More importantly, the Design Studio makes it easy for users to integrate their own pre-made designs on any piece of clothing available. 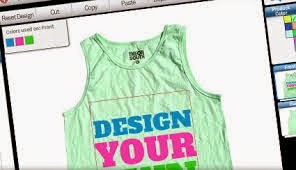 There are many features the make it simple to get creative designing a custom tank top, such as a layer manager, text editor, and clip art collection. Customers can also use many designed listed on the company’s website and make subtle tweaks to call their own. Customers can also select from a range of clip art collection including music, comic, hunting clip art images, fishing images, tattoos, religion, and western image collection. Users can also create their own art in addition to using the existing clip art collection. This is available by using the "My Art" option. 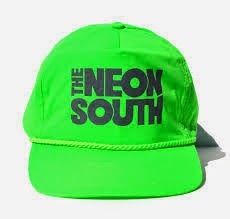 In addition to neon tank tops, customers of the Neon South can also create their custom hats and tees by using the design studio. The Neon South company is based in Dallas, where they have a factory employing one manual press and four automatic presses. Their factory is able to printing up to five thousand shirts or tank tops daily. The Neon South has defined its niche in the fashion industry to provide top-of-the-line custom tank tops. Small businesses are usually local businesses. They face challenges in marketing and optimizing their websites for better exposure in the search engines. Fortunately, with Schema and website optimization, you get your business on “the map” and encourage the search engines to rank your business higher in the results. In order to take advantage of this website optimization technique, you need to make sure when you implement schema onto a website that your contact information and business’ geographic are correctly listed in your website. Schema.org provides under the section Local Business a wide range of business categories that you can implement as part of the contact page or the footer on your website. The information you can fill in includes accepted payment types, phone and fax, address, and opening hours. Schema markup uses div tags that are not displayed on the live website but they rather have the role to inform the search engines with specific information that applies to the chosen schema markup. Listing your business is the most important step. That will inform the search engines about your business’ physical location. A search engine cannot discover on its own that you have a physical location but by creating your local business listing you can inform your potential clients about. In order to achieve this goal for website optimization, you need to create a listing with both Bing Places for Business and with Google Places. There are also general listing services such as Yellow Pages and industry specific directories and search engines that are worth registering with. A small business is also targeting a local market. For this reason all your SEO and website optimization efforts should be focused on location. Local small business SEO can be improved by using LocalBusiness Schema Markup in order to help the search engines find you and display information relevant to local searchers, your prospective clients. This is important because people use the internet more and more in order to find local business information. Data such as emails, phone numbers, addresses, business names, and logos are what the prospective clients are expecting to find online. Search engines can easily display all these data if you use the schema markup code to signal them. Search engines support several marking up formats such as Microdata format, RDFa, and Microformats. In order to work with schema markup you need some basic knowledge of HTML. Depending on your setup, you have to insert some code on your website. Schema markup can be inserted on in line with the existing HTML code on your web pages by using span and div tags. This way you can markup your content like firm name, address and phone number. Whether you handle your web marketing in-house or work with a website optimization company, schema markup will not be visible to your website visitors but search engines will use it in order to index, retrieve, and display this information to users that make relevant queries. This way you will improve your local small business SEO and website optimization efforts. For better SERP results it is also important to use location specific keywords and title tags that are location specific. This will improve your search engines results page and will increase the probability that your prospective clients find your small business online.